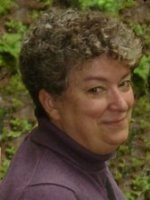 Carol Berg is the award-winning author of over 10 high fantasy novels, including The Lighthouse Duet which recently won the Mythopoeic award and the Colorado Book Award. She’s also won the Geffen Award and the Prism Award, plus her books have been finalists for the Romantic Times Reviewer’s Choice Award, the Compton Crook Award, and the Barnes & Noble Maiden Voyage Award. Matthew Peterson: Hello there and welcome to The Author Hour: Your Guide to Fantastic Fiction, which can be found at www.TheAuthorHour.com. I’m your host, Matthew Peterson, author of Paraworld Zero. Last week I had a military and hard science fiction episode with David Weber, David Drake, Ben Bova, and Joe Haldeman. This week’s theme is high fantasy with Carol Berg, L. E. Modesitt Jr., Dennis L. McKiernan, and Diana Pharaoh Francis. My first guest is Carol Berg, award-winning author of over ten high fantasy novels, including the The Lighthouse Duet which recently won the Mythopoeic award and the Colorado Book Award. She’s also won the Geffen Award and the Prism Award, plus her books have been finalists for the Romantic Times Reviewer’s Choice Award, the Compton Crook Award, and the Barnes & Noble Maiden Voyage Award. I should also say that Carol is one of my online author friends and a convention buddy, so I’m excited to have her on the show today. Thanks for being on the show today, Carol. Carol Berg: Hi, Matthew. Great to be here. Matthew Peterson: First off, for many years, you actually worked with computers and math. What made you decide to write high fantasy books? Carol Berg: Well, I’d always been a reader, but I majored in math because I grew up, you know, during the space program and I enjoyed it and I never imagined that I could ever write a whole story. You know, how could anybody make up a whole plot and invent characters and do foreshadowing--all those things like that? Matthew Peterson: Keep it all in your mind and . . .
Carol Berg: Yeah. [laughs] How could anybody do all that? Plan it all out? And so, you know, I loved science and math, and so that’s what I pursued for my career, but it was about half way through my software engineering career that a friend and I... We traded books a lot, and I was on a fantasy reading binge. I read everything just about, you know: adventure stories and thrillers and classics and mysteries and fantasy and science fiction. But we had read a book that was a series of letters between two sisters. And my friend confessed to me that she had always wanted to be a writer, and she said, you know it would be fun if we each took a character and wrote each other email letters in character. Carol Berg: And it sort of took off from there. Matthew Peterson: I know what you’re talking about building: you press the button, you’re waiting for it to compile and it’s taking forever and ever and ever and . . .
Carol Berg: Yeah, in the olden days, yeah. Matthew Peterson: . . . go to the bathroom, come back, it’s still going. Yeah, I know what you’re talking about. Carol Berg: Yeah, especially then, when it took a little bit longer. This is about 1989, so it took a little bit longer to build then, in those days. Matthew Peterson: Yeah. So 20 pages there, so you kind of . . .
Carol Berg: So we did this for about a year and half; we exchanged letters. And what I found was even though letters... it’s a terrible medium for trying to write a story, but you know, we would incorporate dialogue and all sorts of things, but it was a great first writing exercise. Matthew Peterson: Do you still have that story? Carol Berg: Yeah. Though, you know, it has some characters that I love. And actually there is one character from that story that will appear in one of my books. To be coming up. Matthew Peterson: Well, that’s exciting. Matthew Peterson: Your first book, Transformation... I mean, you started a trilogy there the Rai-kirah. And you had Transformation, Revelation and Restoration. That was your first actually book--books--that you wrote. Carol Berg: Well, actually not. Actually Song of the Beast, which is the fourth book of mine that was released, I actually wrote prior to Transformation. Matthew Peterson: Oh, I didn’t know that. Carol Berg: Yes. So Song of the Beast and Transformation were written when... and my first editor bought them at the same time, but at the time Transformation was a standalone. And it was only about the time that we sold the book that I had the idea for the sequel, which turned into Revelation and Restoration. And my editor decided that she would prefer to start out with the three book series rather than start out with the standalone, Song of the Beast. So that’s why Transformation came out first. Matthew Peterson: And I hear, with Song of the Beast, that your fans are going to get a little treat from you regarding that universe, aren’t they? Carol Berg: Yeah, I hope so. People have been after me... The problem with a standalone, of course, and especially with my standalone, because I tend to write rather complicated stories. And I don’t always leave everything completely tidied up. So many of my readers have been after me for years to write a sequel to Song of the Beast. Well, I was invited to contribute a story to an Anthology from Norilana Books called Lace and Blade 3. And I decided that that might be a good venue for a little follow-on story and so I did. I wrote a story called The Heart’s Coda, which should be appearing in Lace and Blade 3, coming out in 2010. Matthew Peterson: In about February, around there? Around the first . . .
Carol Berg: That’s the currently scheduled time. Matthew Peterson: Well, that will be great to get some closure there for some of your fans. Carol Berg: Yeah, that’s what I thought. What I decided was that it was kind of fun. You know, what happens when you start looking for a hero after the story’s over? You know, I didn’t want to write another whole novel. I felt like the story of Song of the Beast was wrapped up in that book. Carol Berg: But I thought it might be fun to look in on Aidan and see what happened to him afterward. And I found something I didn’t quite expect. It’s kind of a fun idea to check up on the hero after the great adventure is over. Matthew Peterson: Yeah. So your second series, Bridge of D . . . [laughs] I have a hard time with all these . . .
Matthew Peterson: D’Arnath! Oh darn-ath. [laughs] Bridge of D’Arnath. You have four books in that one. Matthew Peterson: The last one was in 2005. Do you plan on adding any more to that series? Carol Berg: No. No, that one... [laughs] It seems like all of my stories end up sort of expanding slightly beyond the scope of the original project. Matthew Peterson: [laughs] Knocked you on the head. Matthew Peterson: Something else, yeah. Matthew Peterson: I always like it when authors do that, when they say, “Let me just do one more, and I’ll just kind of fill in some of the gaps and give a little bit more story.” I like that. Carol Berg: Well, I didn’t really intend to do that. I like to think all of my books originate in character and they grow with the character and the stories unfold serving the character who happens to be the focus of the book. That was certainly it in this case. That’s where it came from, was I could not leave this sort of unformed person who believed he had resolved the issues of his life at 16, and we know that that doesn’t happen. Matthew Peterson: Well, when ideas fall down from the sky, you’ve gotta grasp them and go for it. Carol Berg: That’s right. You do. Matthew Peterson: Your next 2 books, The Lighthouse Duet, they’ve done really well. They’ve got the Mythopoeic Award, The Colorado Book Award--which you had already won before. Matthew Peterson: Where did you get the idea for Flesh and Spirit and Breath and Bone? Carol Berg: That is one... it didn’t come out of the sky, but it did come over the airwaves. I was listening to National Public Radio, and someone did a feature called The Last Lighthouse. And the essay was about the last manned lighthouse in the United States, and it wasn’t the meat of the essay that was interesting to me; it was the title, because lighthouses have multiple connotations. They have the idea of welcoming you to safe harbor and also to warning you away from dangers. So I just wrote down that phrase and let it stew for a while. Carol Berg: And so that was sort of the origin of Valen. So that’s the long convoluted story of where Flesh and Spirit came from, and of course then it got more complicated and the book that I had sold as a standalone, again, turned into two books. Matthew Peterson: Turned into two books! And these aren’t short books either. Carol Berg: But two is it! I mean, to finish the story. Matthew Peterson: And these aren’t exactly really short books, either. They’re pretty expansive, and you gotta big world that you’ve created there. Carol Berg: Yeah. You know, I love starting out a story because you can lay down all these threads. Matthew Peterson: And your newest one, that one’s called The Spirit Lense. And you’re starting a whole ‘nother series here now, aren’t you? Matthew Peterson: What is the name of that series? Carol Berg: These are called the Novels of the Collegia Magica. Matthew Peterson: Okay. Well, we’ll be looking out for those. Well, I’ve been speaking with Carol Berg, award-winning author of over ten high fantasy novels. Thank you so much for being on the show today, Carol. Carol Berg: Well, thank you for having me. I enjoyed it. Matthew Peterson: Alright, visit www.TheAuthorHour.com to listen to Carol’s bonus questions. Up next is L. E. Modesitt Jr. and then Dennis L. McKiernan and Diana Pharaoh Francis. Stick around.